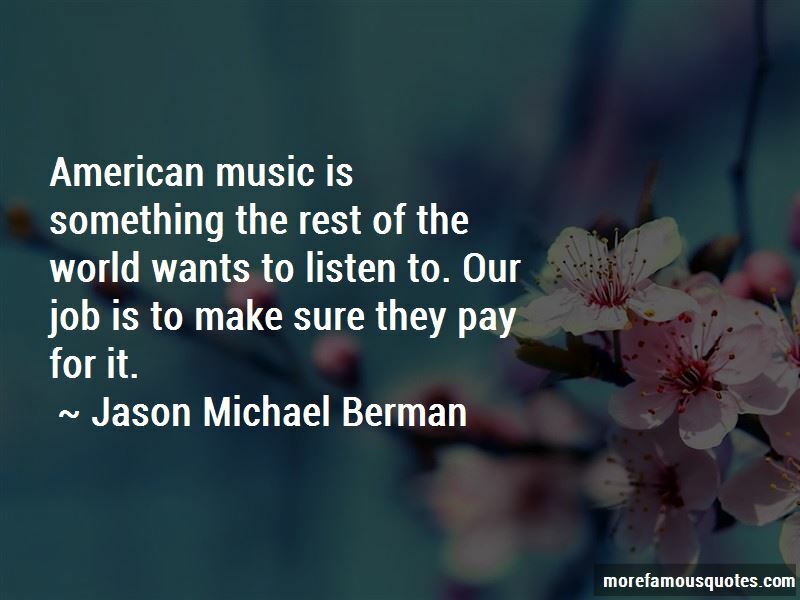 Enjoy the top 1 famous quotes, sayings and quotations by Jason Michael Berman. American music is something the rest of the world wants to listen to. Our job is to make sure they pay for it. Want to see more pictures of Jason Michael Berman quotes? Click on image of Jason Michael Berman quotes to view full size.